100% Organic and Rich in Terpene ! Their face cream is Nature’s nourishment for a youthful looking complexion. It’s very silky, never greasy. Moisturizes, plumps, and diminishes skin discoloration. 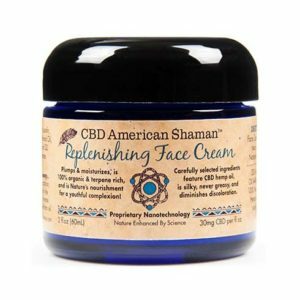 Replenish Face Cream has carefully selected and sourced ingredients — featuring CBD Hemp Oil. Customers have raved about how much they love it. Made in the USA!